Posted on 7 June 2012 and filed under Miscellaneous. I mentioned that I enjoyed hand embroidery workshop I held some weeks ago, as I love embroidery and love to share the craft. I also said that I was going to post tutorials on basic stitches from the workshop, and today I am starting with stem stitch, very simple stitch, most often used for outlines. Bring the thread to the front of fabric. Keeping the thread below the needle, take the needle to the right to the distance that will be a length of a single stitch. 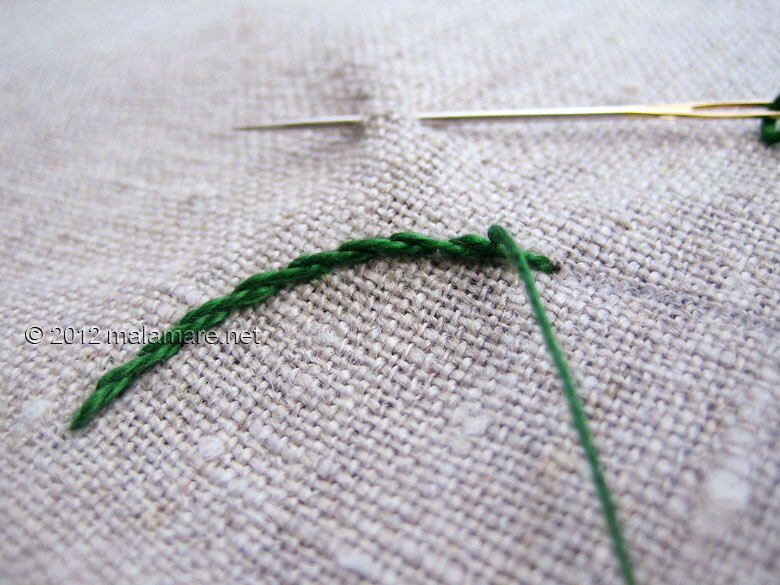 For the starting stitch, insert the needle into fabric and bring it up at approximately half the stitch length. Gently pull the thread through. For the second stitch and consecutive stitches take the needle to the right again, insert it and bring it up a little to the right of the previous stitch and pull the thread through. Repeat continuing along the line. Make sure to always keep the tread at one side of the line, as here it is kept below. And here is your stem stitch! What can you do with stem stitch? Here are some examples. 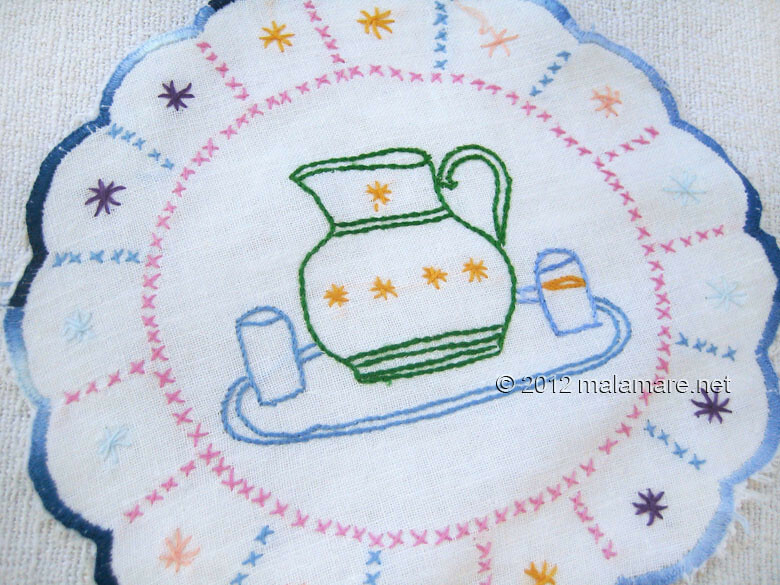 Little beauty my mother made when she was learning hand embroidery, the jug and glasses are made using stem stitch. 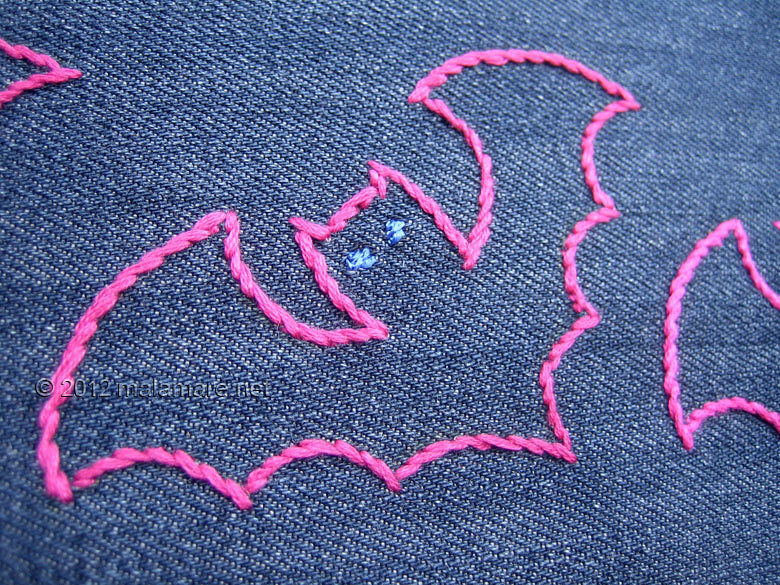 X-ray eyed bats I made on a clutch bag, bat contours are made with stem stitch. 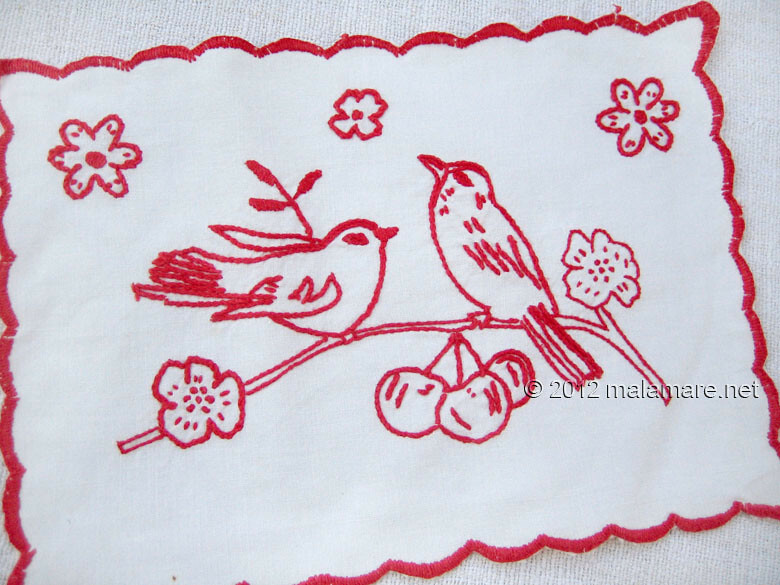 Love birds, almost entirely made using stem stitch. 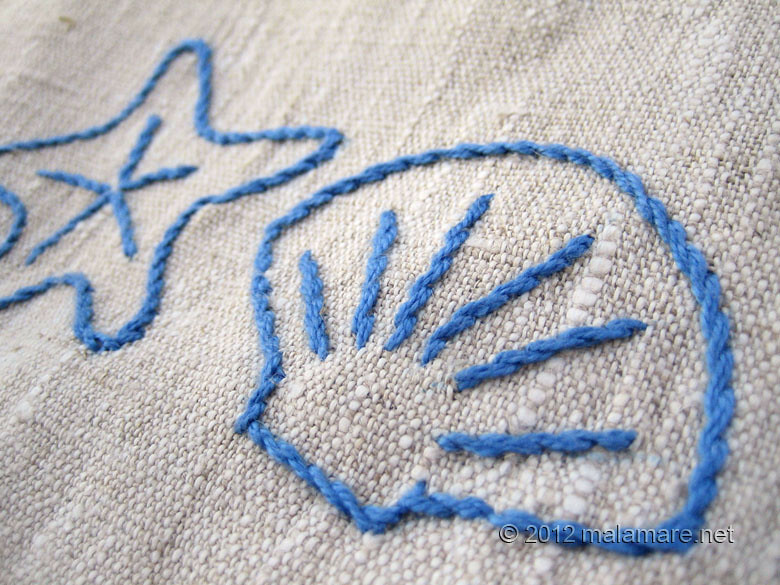 Detail of linen clutch bag with stem stitch sea shells, my work. Zar ne! Meni je jako drag bod, jednostavan, brz, a koješta se može.